EDITOR’S NOTE: The Sun’s regular Friday columnist, Jim Porter, is taking the week off. 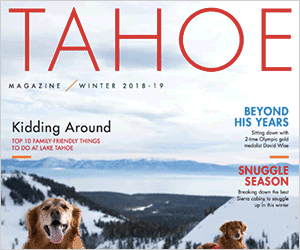 In his place is McAvoy Layne’s Pine Nuts column, which publishes each week in the North Lake Tahoe Bonanza and online at http://www.tahoedailytribune.com. 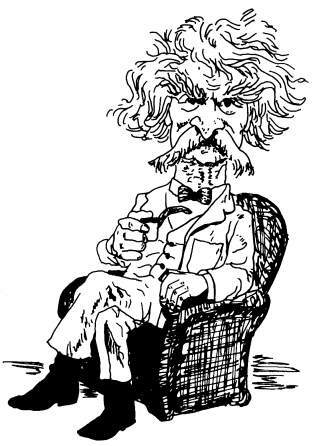 As reported in the Tehran Times last month, Mark Twain’s “Roughing It” has been translated into Persian for the first time and is now available to Iranians. U.S.-Iranian relations have warmed dramatically according to this reporter. So let’s try exchanging Tolstoy & Twain with the Russians and see what happens. It worked before to great effect, resulting in a thaw of the cold war. Let’s find out if Tolstoy and Twain can do more to “reset” relations than have Putin and Obama. For a reset to be enduring it must come from the bottom up, from the youth, not from the top down, and let’s face it, your average Sergei Smirnoff and Sammy Six-Pac identify more with Tolstoy & Twain than they do with Putin & Obama. As for the ladies, I have found there are times when it is better to remain silent and appear ignorant than to open your mouth and remove all doubt. We could go on and on and probably end up with the equivalent of a Bachelor of Arts degree, which today might land a job at Starbucks. So the world looks on as we launch Twainmanship and Tolstoymanship in rebooting the tethered relationship between America and Russia. The working man in Odessa and the working woman in Oberlin will take precious little time in recognizing that Americans and Russians have many more shared common core values than differences. Besides, a hundred years from now Tolstoy & Twain will still be around in a world that will scarcely mention Putin & Obama. It’s worth a try. I shall inaugurate the book exchange myself. Meanwhile, noted historian and author of Gold Rush Trail, Frank Tortorich, will hold forth at the Mark Twain Cultural Center & Toccata Guttman Music Hall on Friday the 21st of March. Reservations: 775-833-1835.